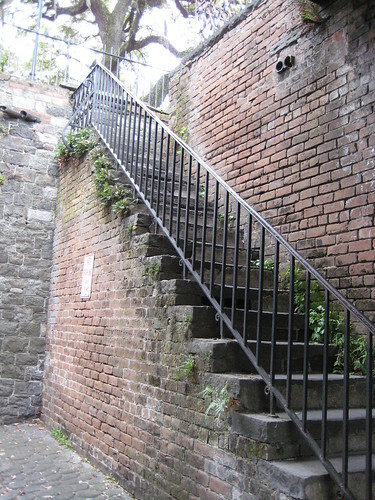 …in between many of the buildings you’ll find stairs that take you down a level into the bowels beneath the storefronts, bringing you out onto River Street. I’m told that back when cotton was big in Georgia, product would come up the Savannah River by boat or barge and be dropped off riverside. 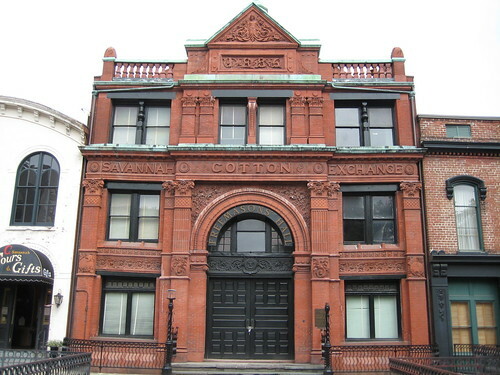 The cotton would be brought into the buildings from the lower level, out of sight of the general patronage. 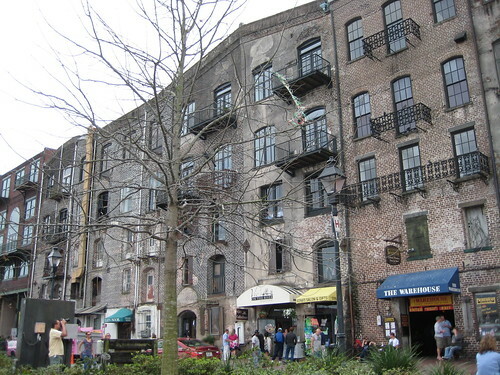 The buildings are still brick-faced, without any care for the latest construction materials. 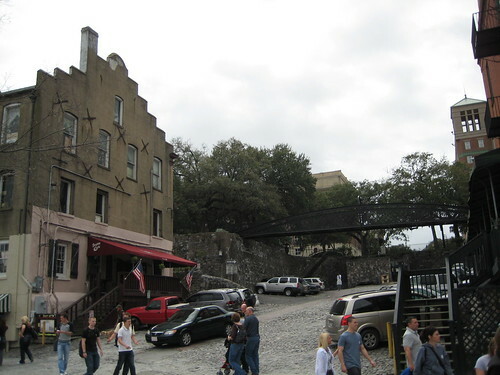 Vehicle traffic is allowed now, but the cobblestone is still there. The docks now feature arts and crafts vendors from the area, live performances, still with the cool breeze coming off the river. The result — some years later — is that the lower level has been transformed into a bustling stretch of entertainment and commerce for tourists and locals alike, without losing that old port-town feeling.